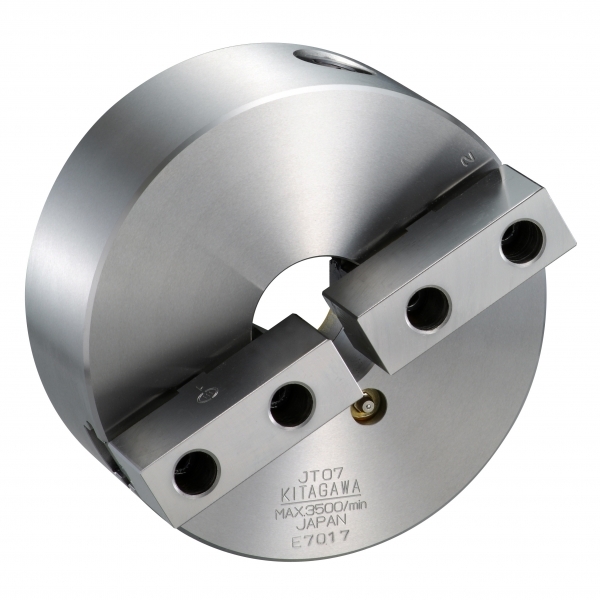 232 mm two jaw scroll chuck with recess mount and max speed of 2900rpm. 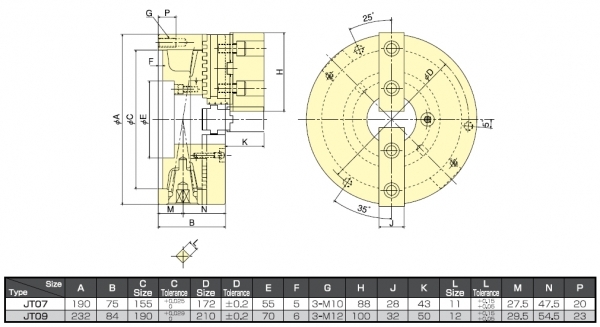 Kitagawa's JT series scroll chuck include one set of soft jaws. The JT series scroll chuck provides the optimum solution for gripping valves, pipe joints and other irregularly shaped components.